It was after eight pm when we approached UB and the light was fading. 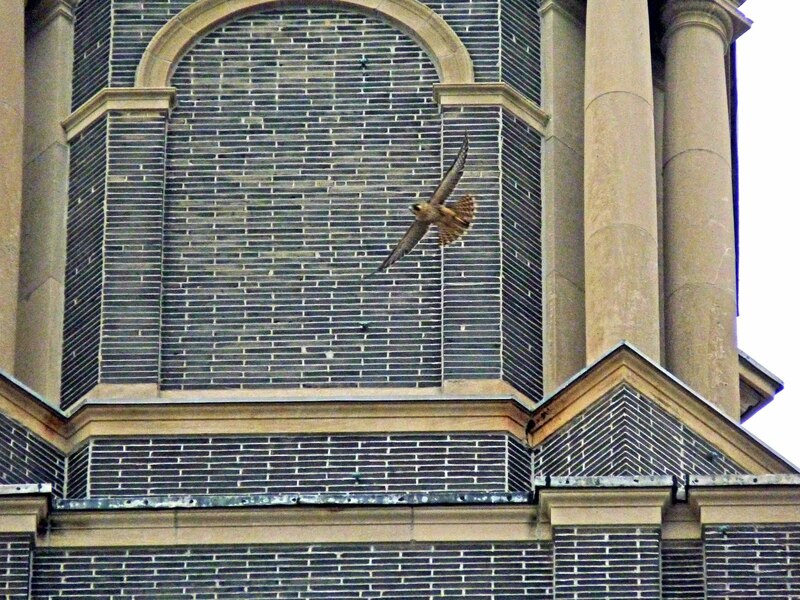 First we saw an adult on the water tower but couldn't find any of the kids around the VA. Then one of the boys flew to MacKay Tower and he seemed to be looking for the others to join him. 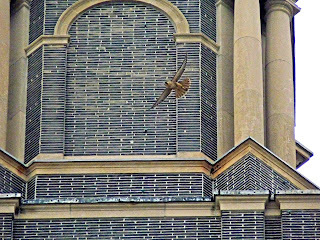 He flew off a few times and landed the last time at the very top of the tower - Winspear side. The pix above are Roger's, thanks hon, and the one below is mine. We got there to find Bruno watching for the birds and a bit later Carolyn and her husband came back to check them out again too! Good to see you all tonight!